I've been a fan of Aussie haircare for a long time. Over the years I've tried many of their shampoos and hair masks so when I found out they were branching out into body wash I was very intrigued. Although these have been out for a while, it's only now that I've decided to give them a go and see how they perform. 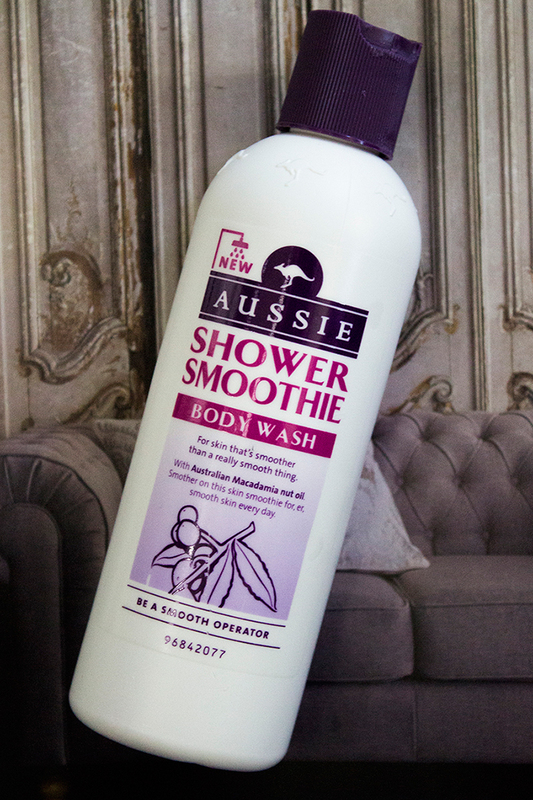 The Aussie Shower Smoothie Body Wash comes in the standard Aussie packaging, though with a white bottle so you can differentiate against the shampoos. Just like the hair care products, the body wash fits in with the Aussie brand really well. It uses ingredients such as Macadamia Nut Oil which comes from Australia so it's really not too different from their other products. There are quite a few different scents though I believe this one is the original. Scent wise, it smells very similar to one of their shampoos. I can't quite put my finger on which one but it has a very distinctive bubblegum/girly scent so if you've used their shampoos before you'll probably be familiar with it. As a shower gel, I really like how nourishing it is. I was sort of expecting something very foamy, high in sulfates but it feels much more on the moisturising side which is what I look for in a shower gel. All in all, it smells nice and makes your skin soft and clean.. what more could you want from a shower gel. If I have any criticisms I do think it's a little overpriced but you could always wait for a 3 for 2 offer and pick it up next time you're picking up one of their hair care products.